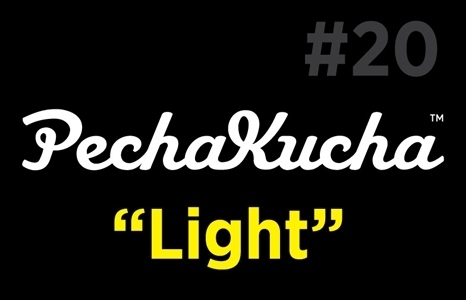 PechaKucha 20x20 is a simple presentation format where you show 20 images, each for 20 seconds. The images advance automatically and you talk along to the images. PechaKucha Honolulu Nights at the Honolulu Museum of Art School are held three times a year—with a theme. The theme is Light. Think: photography, prisms, electricity, rainbows, the sun, the moon, and more! • Gaye Chan, photographer + chair of the UH Department of Art and Art History, "09.05.2012 @gaye_chan"
• Güenther Hasinger, astronomer, "The Colors of the Sky"
• Mark Chai, sculptor + lamp designer, "My Journey Sculpting with Light"
If you're interested in presenting, send an email with your creative process/story, and samples of your work to pechakuchahnl@gmail.com.